Great news for Nexus One owners! It looks like Google has started rolling out Android 2.2 (aka Froyo) for their very own Google Phone, which is more widely known as the Nexus One. The update is available now via OTA (Over-the-Air) download and will take some time before the roll out completes. Keep checking the notification tray for a “System Alert” for Android 2.2 which could be here for you any minute. Google and HTC has already confirmed that most Android phones released in 2010 will get Android 2.2, however no ETA (Estimated Time of Arrival) has been given yet. Nexus One, being the Google phone will naturally get the love first, however this update for more phones will follow soon. UPDATE 1: The stock Android 2.2 ROM (FRF50) is now up! If you haven’t received the OTA update yet, you can download the stock ROM from here, and follow the instructions posted here (for Android 2.1, but applies to 2.2 as well). UPDATE 2: Root for stock Android 2.2 users is here! 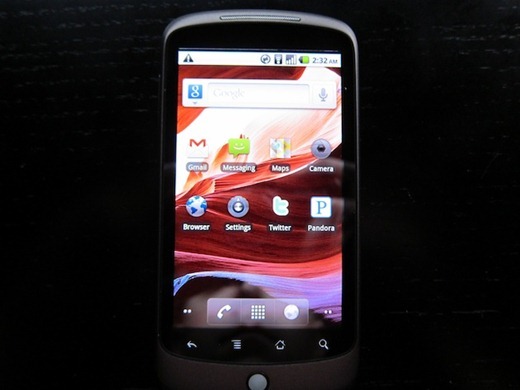 Download Quick Rooter to root Android 2.2 FRF50 Froyo on Nexus One! 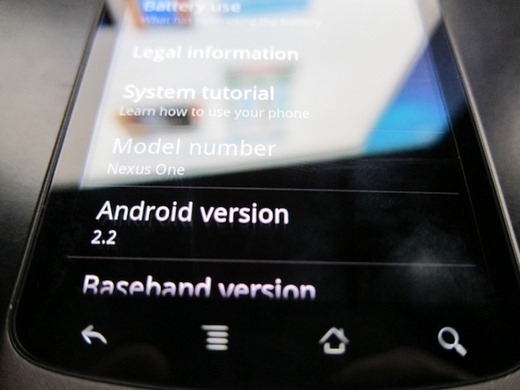 UPDATE 3: Complete Step by Step Guide on How to Manually Install Android 2.2 Froyo on Nexus One [For Rooted Users] ! If Android Froyo is 2-5 times faster than the previous version, that could alternatively translate into a phone that is the same speed as before, but has 2-5 times the battery life (by using a smaller processor to get the same work done). Is there any way to force to ota download? This won't work on your Nexus One if you are downloading the file on a mac. The native handling of .zip files screws up the signature. Find an antiquated friend with a PC and download it there. So the system that doesn't randomly mess up your downloaded files is intiquated? I'm no MS fan myself, but that's a pretty stupid comment. Yes, download it with chrome. also, download link doesn't work anymore..google removed it? I already downloaded and installed, works great on my nexus, and fixed bluetooth pairing issues I have been having since i got the N1 in january…FINALLY! Margo, alas that statement makes no sense. The processor is not smaller, its the same processor. There is not 2-5 times battery life. I'm not sure why you think there is a smaller processor. The release I'm sure will be better. is the android 2.2 multitasking? android has always been multitasking..
can we use this on the htc desire? same yeh?? Link seems to be broken for me for the 2.2 download.